3D printing news to be Sliced this week includes Create O&P, German RepRap, Humanetics, the Manufacturing Technology Center, NewPro 3D and many more. Coventry’s Manufacturing Technology Centre (MTC), a leading independent Research & Technology Organisation behind the additive manufacturing skills framework, has been selected by the leading global standards organisation, ASTM International, to be the first non-founding partner of its Center of Excellence in Manufacturing. This center will partner with MTC in a funded project to improve the standards of research and development as well as build industry gaps within additive manufacturing on an international scale. In Canada, metal and polymer additive manufacturing service provider Burloak Technologies has announced plans to open its Additive Manufacturing Center of Excellence in Ontario later this year. The center will provide services to aid in the adoption of industrial additive manufacturing. 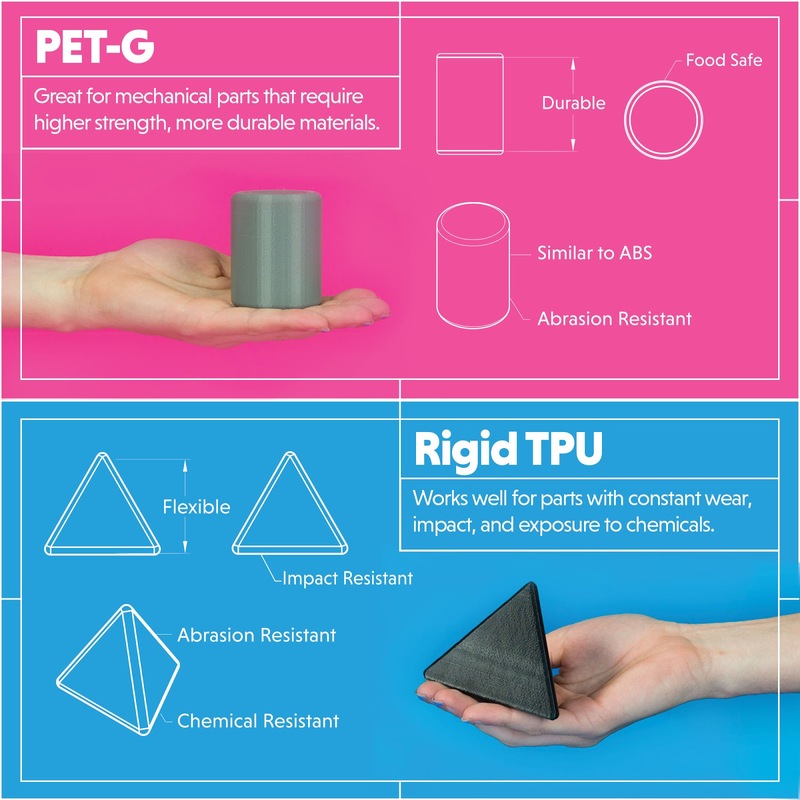 Voodoo Manufacturing’s new materials, PET-G and Rigid TPU. Image via Voodoo Manufacturing. 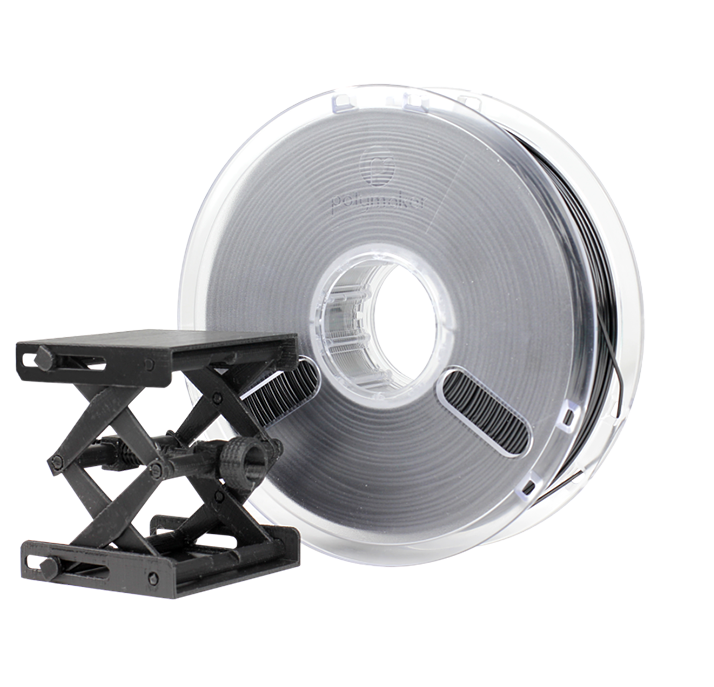 Additionally, German RepRap, developer and seller of 3D printing systems and components who recently partnered with Swiss-based technology company Bossard, has extended its materials portfolio with a new thermoplastic material, the polycarbonate max (PC-Max). The PC-Max has an impact resistance approximately 250 times higher than other materials, which means it can be useful for security applications. German RepRap included material, PC-Max. Photo via German RepRap. 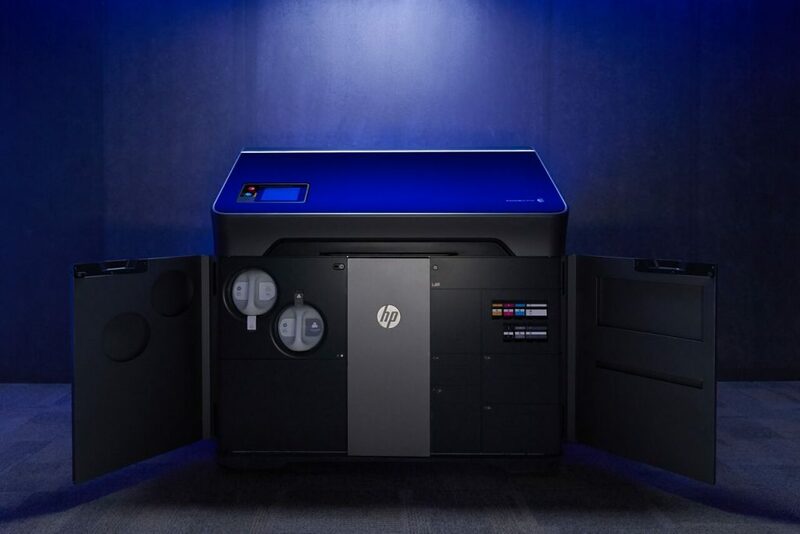 Trideus, distributor and reseller of 3D printers, have become a reseller of HP Jet Fusion printers in the Benelux. Elderly crash test dummy created by Humanetics. Photo via Forbes. 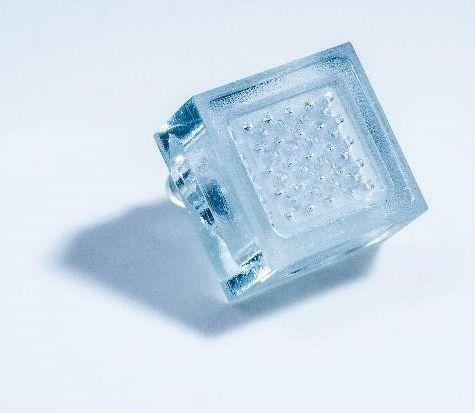 Imec, an international Research and Development hub, has introduced a new, low-cost impingement-based solution for cooling chips through its package-level 3D printed chip cooler. Imec’s 3D-printed chip cooler. Photo via Imec. Next year, the city of Eindhoven in the Netherlands is reportedly scheduled to get its first ever 3D printed concrete houses. Under “Project Milestone” the houses will be built in a collaboration between Eindhoven University of Technology, contractor Van Wijnen, Dutch real estate investors Vesteda, building materials producer and supplier Saint Gobain-Weber Beamix, engineering firm Witteveen+Bos, Dutch architecture firm, Houben Van Mierlo. Vancouver-based DLP 3D printing technology developer NewPro 3D is now showcasing its new NP1 DLP printer. The NP1 uses Intelligent Liquid Interface (ILI) Technology to print end-use materials at a fast pace. At RAPID + TCT 2018, the NP1 was shown to 3D print a 22cm long midsole in just 2 hours and 10 minutes, a fraction of the time taken using SLA. Multinational electronics and semiconductor manufacturer STMicroelectronics, has improved open-source 3D printer performance through its EVALSP820-XS motor driver board. This compact board enables industrial-controlled expertise to the open-source platform, RAMPS which allows 3D printer manufacturers to operate their machines at a faster rate. In addition, Avante Technology, a company focused on the commercial development of 3D printing, recently announced the Emendo Cloud Automates STL File Analysis & Repair service to help engineers and designers. Canadian-based 3D scanning company Creaform has also made an announcement with Creaform ACADEMIA. ACADEMIA is a range is of 3D scanners targeted for use in the classroom. With this tool, the company hopes to foster experienced-based learning to educate future engineers in metrology. The Nationwide Children’s Hospital, in Columbus, Ohio, recently used a 3D printed replica of twelve-year-old Michael Conley’s brain to successfully remove a tumour. WhiteClouds, a 3D printing manufacturer and TeraRecon, a medical imaging software provider collaborated to create a 3D printed model of a rhinoceros’ jaw in order to assist in a recent surgery at the Brookfield Zoo in Chicago. Layla, the seven-year-old 2,300lb Eastern Black Rhinoceros had an impacted molar tooth that caused breathing complications. Following a CT scan, the zoo identified the need for surgical intervention. The large 3D model was donated by WhiteClouds and TeraRecon using a hinge and slice technique, which allowed the surgeons to pinpoint the correct regions. “We continue to see growing interest in the impact of 3D printing in veterinary medicine. As we now provide prints to the veterinary community, we are excited to extend into the zoological space and participate in such a significant, first-of-kind effort for Layla,” said Jerry Ropelato, CEO of WhiteClouds. 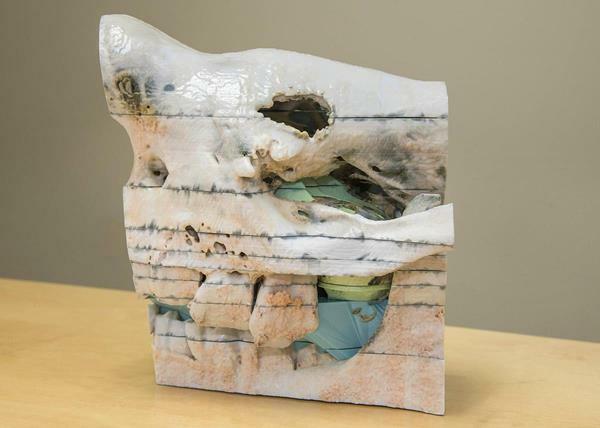 A hinge-and-slice 3D print of rhinoceros anatomy used for pre-surgical planning at Brookfield Zoo. Photo via Chicago Zoological Society. In other news, Create O&P, a New York-based leading medical technology company, have teamed up with e-NABLE, a prosthetic 3D printing volunteer network and the Nigerian Government in order to produce 3D printed prosthetic limbs for victims of the Boko Haram Rebellion. A 3D printed arm and hand prosthetic will go to eleven-year-old, Mohammed Saleh, who was abducted and injured by Boko Haram insurgents in March, 2016. Jeff Erenstone, Founder of Create O&P, previously provided 3D printed prosthetic devices in countries such as Nepal, Switzerland and Haiti. Jeff Erenstone, Founder of Create O&P, constructs 3D printed prosthetics. Photo via Create O&P. For more stories on the latest developments in 3D Printing subscribe to the 3D Printing Industry newsletter, follow us on Twitter and like us on Facebook. Want to advance your career in additive manufacturing? Sign up to 3D Printing Jobs here. Featured image shows sliced image over artist design of 3D printed concrete houses in the Netherlands. Image via Houben Van Mierlo.